London Bespoke Lift Company. 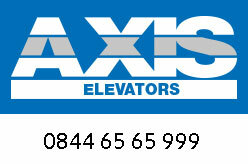 Axis Elevators Ltd is professional lift company in London for more than 25 years. Offers complete design builds of installations to bespoke requirements as well as maintenance contracts, service contracts and complete refurbishments to existing elevators. Clients includes blue-chip companies, national institutions, hotels, local authorities and banks.